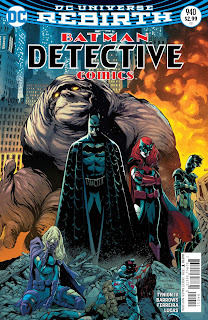 The Geektified Blog: All New DC Rebirth Batman Detective Comics Coming September 14th! 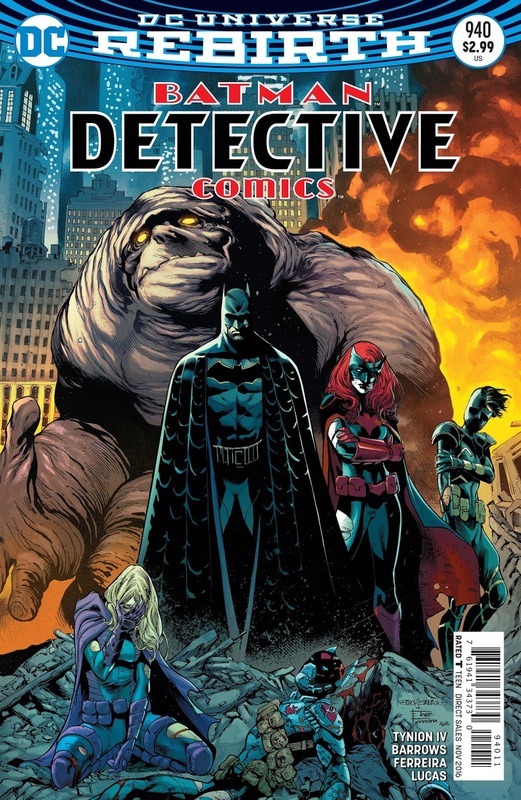 All New DC Rebirth Batman Detective Comics Coming September 14th! It began with a threat. Batman had discovered a presence in Gotham that had not only been doing his job—but completing it with military effectiveness. Furthermore, Batman and the Bat-family were being watched. And then an idea. Batman would recruit Kate Kane to not only join him—but to train and lead a brand new team of heroes. Red Robin, Spoiler, Orphan and the villainous Clayface would form a new team of vigilantes armed with the precision and execution of a military force. And then a problem. Little did they know that an immediate threat—The Colony—would send an army of drones to destroy potential threats to the city! As the team divides to conquer, Batwoman faces her father, potentially turning her back on her team of trainees, and Tim Drake finds the best way to stop the drones from raining destruction on Gotham. He’s given them a single target. Himself. Now, it’s the moment you’ve held your breath for. Tim Drake stands against the wave of drones to save Gotham while Batman desperately calls all hands to the Belfry to help. DETECTIVE COMICS #940 sees the Caped Crusader and the newly forged Bat-team face off against their most deadly adversary yet—an army of Batmen. What will they gain, and more importantly… what will they lose?